It’s spring and your barbeque is calling, begging you to use it. But, looking at your house, you realise it’s been a few years since you last painted. Wouldn’t it be great to start summer with a fresh look? Whether it’s your walls, roof or window frames in need of attention, at Colourplus we’ve got the right paint supplies for your outdoor project. So, before you start sanding, first prep and prime your exterior paint know-how. Here are our top paints for your home’s exterior plus some handy application tips… in a four-step plan! Investing in premium quality paint and choosing the right product for the surface you’re painting will help ensure you don’t have to do the job again any time soon. An exterior paint you can use on a huge variety of surfaces. It’s an acrylic paint with a tough, flexible, long-lasting finish. Available in gloss, low-sheen and satin. It’s also self-priming which will cut out a step from your prep work! Aquasun is also available in base, so dark colours can be tinted. Aquasun is great for the exterior walls of a house as well as projects like pergolas, fences and even roofs. Use it on weatherboard, timber, fibre cement, concrete, concrete block, plaster brick, plywood, Zincalume, steel, HardieFlex, and galvanised iron. 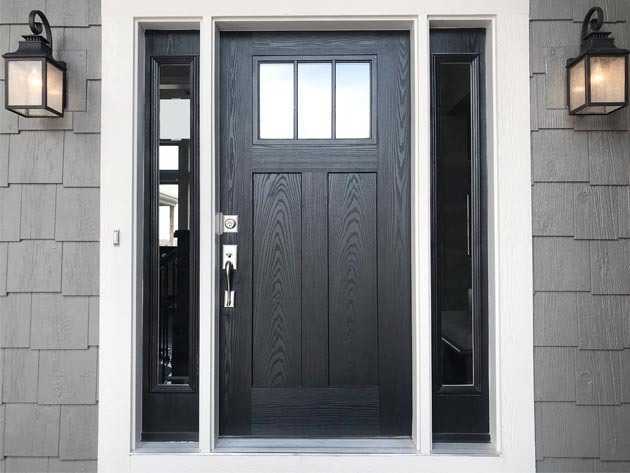 This could be your go-to-gloss for doors, shutters or even a bigger exterior surface. It’s been designed specifically to give a gloss paint finish with long-term durability. 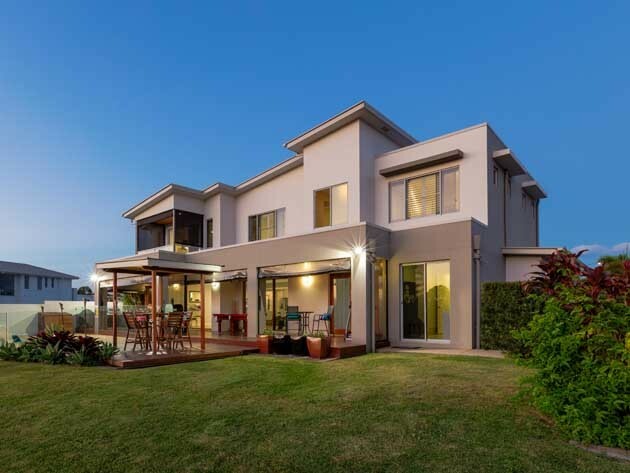 It performs to a high standard on most exterior surfaces, including: weatherboard, concrete block, suitably primed timber, textured surfaces, plywood, galvanised iron, masonry, fibre cement products and concrete. Designa also comes in semi gloss and low sheen but all are only available in white. Low sheen is self priming, whilst gloss & semi gloss are not. An excellent paint to use where, traditionally, you might have used an oil-based enamel. The good news, if you have ever painted using those old enamels, is Ultracare is fast-drying, non-yellowing, and has a low odour. It comes in gloss and semi gloss paint. Because Ultracare can be used inside too, you can make the most of every tin you buy. Outside, it’s great for timber doors, window frames and trims. Inside use it on architraves, skirtings and surfaces in the kitchen, laundry and bathroom that you need to be particularly hard-wearing. Specifically formulated to protect roofing materials, Aquasun Roof has anti-corrosive properties. It’s acrylic and self priming – so you can get the job done quickly. Aquasun Roof is also suitable for houses that collect drinking water via the roof. Use Aquasun Roof on properly prepared galvanised iron, Zincalume, concrete tiles and aged Coloursteel. Before you paint over existing paintwork, make sure you get rid of all loose and flaky paint by sanding the surface. If you’re painting over old enamel, you’ll need to fine-sand the surface until it looks dull and uniform. When you’ve finished sanding, be sure to wash the area and treat any mould. 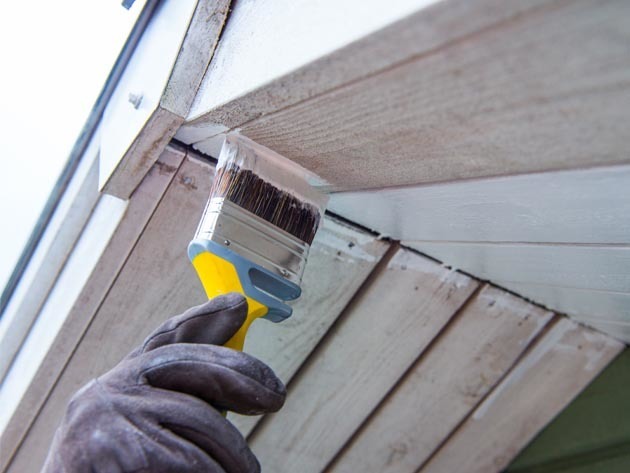 Spot prime any bare wood with Permaseal and apply any recommended layers of primer, sealer or undercoat. You can drop into your your local Colourplus store to discuss what you’ll need to wash, treat mould, prep and prime your surface with one of our paint experts. You can use synthetic brushes, a roller or a spray to apply our Aquasun, Designa and Ultracare exterior and roof paints. It’s a good idea to invest in high quality painting tools as these will help you to achieve a high-quality finish. Your local Colourplus store staff can advise you on the best tools for the job! All exterior paints referred to in this article dry in 30 minutes (at 20°). 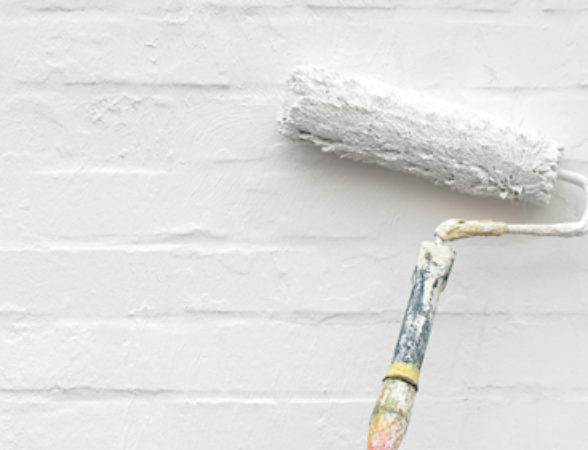 Generally, you can apply the second coat approximately two hours after you’ve finished the first – so you can get the job done quickly! However, water-based enamel, Ultracare, can take between 2–4 hours before its ready for the next coat. No one enjoys this part of the process but the good news is when you come to clean up, because our exterior paints are acrylic, all you’ll need to thin them and clean them off your brushes, is water! Call into your nearest Colourplus store for one-on-one painting advice.